I have enjoyed the whole series of Angry Bird apps that I have installed on the iPad and iPhone. I have Angry Birds (original), Angry Birds Rio, Angry Birds Seasons, and now, as of yesterday, the newest and best, Angry Birds Space. 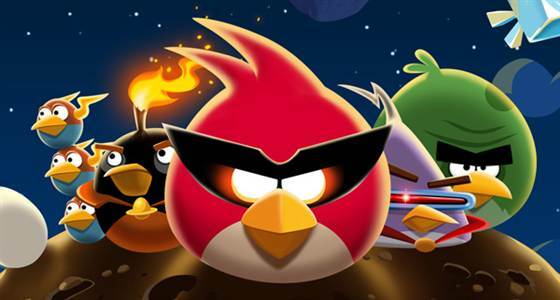 Rovio's much-anticipated "Angry Birds Space," has been downloaded 10 million times in less than three days. "Space" is the first full-fledged sequel to what is considered, by many, to be one of the most popular games on the entire planet at the moment. The first game, and all its assorted variants, has managed to accumulate half a billion downloads, so it would appear that sequel is doing its job of being as successful as the original has been. It's not easy guessing how much revenue has been produced from sales of "Angry Birds Space" at the moment. The iOS version costs $1, like all the previous editions, but the Android version is ad-supported and free, while the PC version costs $6. But given the immense success the game has enjoyed so far, Rovio will more than likely release sales figures as soon as they’re available. In addition to strong consumer demand, the game's release was marked by critical praise across the board, mostly due to its brand new gameplay mechanics. My good wife will have to endure another onslaught of more angry bird sounds. This is definitely a super game.